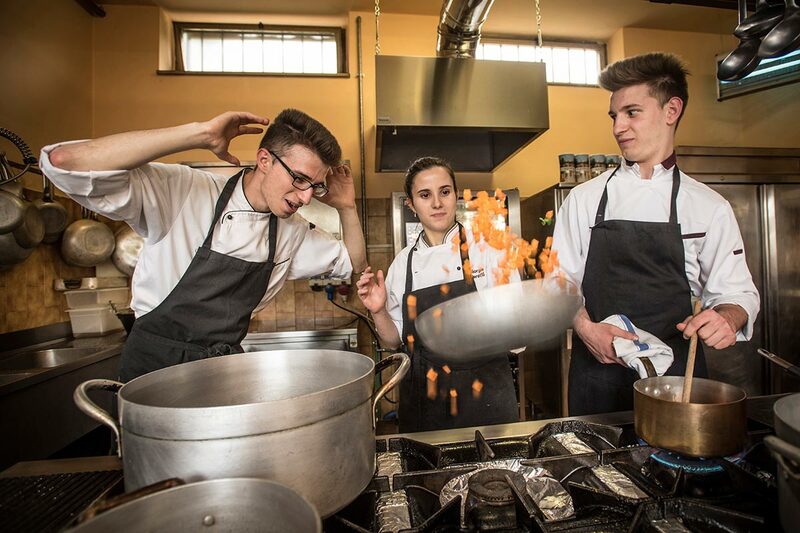 Siblings Cristian, Giorgia and Enrico work in the kitchen, aided by their grandparents Roberto and Margherita and their uncle Antonio, offering traditional dishes and creatively making the most of local ingredients. Our chefs have matured extensive experience in renowned restaurants in and around Alba, drawing inspiration and refining their techniques, guided by the big names of Piedmontese cuisine, to revisit classic recipes with a touch of originality. Special attention is also reserved for intolerances and special requirements, with the aim of meeting our guests’ every need. Guests are greeted and served by Maurizio and Rosita, who will guide you skilfully and pleasantly through the choice of the local specialities.